As the trade war unleashed by Washington is getting momentum, one can’t help but notice that without bringing a massive propaganda campaign to bear, aimed at the spread Russophobia and Sinophobia, this war would have never come to fruition. However, all of the steps that Washington has already taken against Moscow and Beijing is only making the two states more determined to provide a counterweight to the policies pursued by the West together. However, the stance taken by the Trump administration is not the only reason behind the rapidly improving ties between Moscow and Beijing, as their cooperation is beneficial from a purely practical point of view, which means the desire that the two countries share to establish a lasting alliance is not going to suddenly disappear one day. 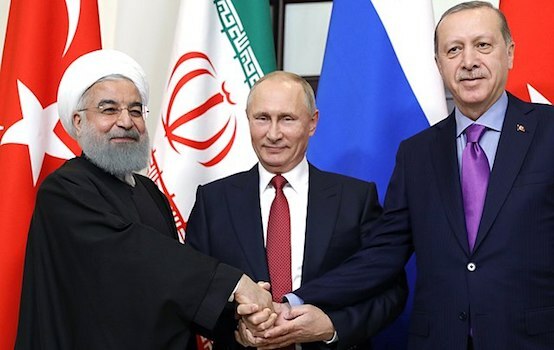 Moreover, those countries that don’t like to be pushed around by Washington and that are getting increasingly critical of its policies may become a viable addition of this newly born alliance one day. As it’s been pointed out by the The Daily Beast, Henry Kissinger has already suggested to Donald Trump that the United States should be working with Russia to contain a rising China. It would go even further revealing that the former secretary of state, who famously engineered the tactic of establishing diplomatic relations with China in order to isolate the Soviet Union, pitched almost the inverse of that idea to Trump during a series of private meetings during the presidential transition. However, the piece of advice given by the patriarch of American foreign policy fell on deaf years, which resulted in Russia’s Vladimir Putin announcing during one of his recent visits to Beijing, the commitment that Russian and China show towards the development of bilateral ties is a major asset that paves the way for the peaceful development of the world. And one should hardly be surprised by this fact, as China is forced to remain mindful of new restrictions that Washington can introduced against in the trade world, especially at a time when the US and China announce new measures almost every week. So it must keep Russia really close, transforming otherwise normal bilateral relations into a strategic alliance. For instance, Trump has recently targeted the “Made in China 2025” that is aimed at setting China to produce an ever increasing number of high-tech goods, but the sitting US president chose to accuse Beijing of manipulating its currency, instead of supporting this initiative. An accusation China has denied vigorously. The US wants to maintain its leading position by using protectionism. But the only result will be an increase in trade between Russia, China and other BRICS members. It’s been noted that for a couple decades, Russia has been fruitlessly trying to turn the Northern Sea Route, which connects Asia and Europe along Russia’s northern coastline, into a viable commercial shipping route. But it could as well fail without China’s capital finally making this long-sought dream a viable possibility. The idea has a massive appeal for Chinese shipping companies, since it would shave thousands of miles off the trip between ports in China and Europe, saving both time and money. It also has appeal for Chinese policymakers, that remain stressed that a number of viable sea routes may be one day sealed by the US Navy. That’s why one shouldn’t be surprised to learn that a military component remains extremely strong in the rapidly improving ties between Moscow and Beijing, which reflected in all of the major interactions between two countries. Last year, the military departments of Russian and Beijing signed a comprehensive road map that lays down all the major aspects of military cooperation between the two states by the year 2020. This presents a major challenge for Washington, since Russia is capable of massively improving the combat potential of Chinese armed forces, especially of its marine and air forces, as Moscow possesses a lot of technologies that remained unattainable for all of the major international players until it started sharing them with Beijing. For instance, the development of Chinese anti-missile capabilities may result in the situation when Washington will not be able to act as the sole master of the Asia-Pacific region. 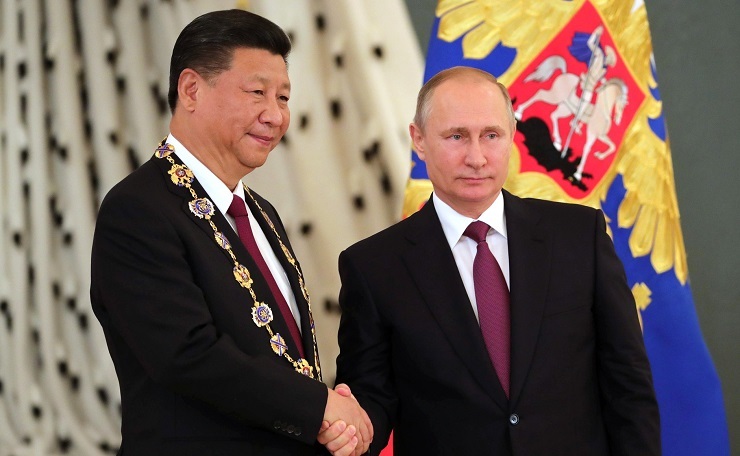 Although there has never been an official formal announcement of an alliance being created, China and Russia have enhanced their relationship to a comprehensive strategic partnership of coordination that has kept operating at a high level. It is clear that Beijing and Moscow perceive the United States and its allies as “the significant external threat that is increasingly impairing their individual and common core interests as well.” That is why the leaders of China and Russia, Xi and Putin, have shared their personal friendship on many occasions and vowed to maintain steady coordination in playing a greater role in international affairs. As it’s been pointed out by the Modern Diplomacy, both China and Russia have their own disadvantages in terms of the great power’s status. China is still a developing country in terms of the domestic issues and high-tech innovation. Russia is regarded as an emerging power since it has relied on too much natural resources export and has been evidently behind in overall productivities. Yet, both of these powers have huge potentials which are compatible with each other in strategic weaponry system and vast manufacture. In a geopolitical sense, the two sides are neighboring countries that bestows them a huge strategic depth to coordinate and support each other, including the China-proposed Belt and Road Initiative and the Russia-led Eurasian Economic Union. As the key members of the emerging powers bloc—BRICS, China and Russia have actually acted to preserve the current rules rather than violating them. For example, they both oppose Washington’s trade protectionism, which is shaking the global trading system based on rules, violating the WTO rules and hitting the just-revived world economy. There’s no arguing with the notion that by looking into the immense resources and capacities of the two countries, it is unwise for any power to ignore the fact that China and Russia have their legitimate rights in the world politics. As permanent members of the UN Security Council, the growing complex and unpredictable international reality requires China and Russia to work together to strengthen their cooperation and coordination. Meanwhile, the two powers have reiterated that the United Nations should play more commanding role in foreign affairs. 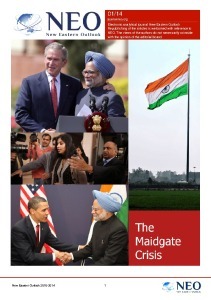 To that end, a multipolar world order rather than unilateralism is legitimately accepted and unwaveringly maintained.